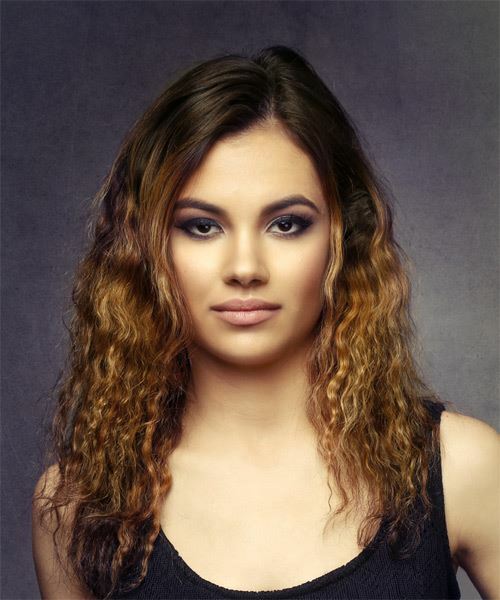 This gorgeous casual hairstyle lets our model's natural hair texture shine through, which is nicely highlighted by her ombre color. This style is best suited for long face shapes that benefit from voluminous hairstyles. Product is needed to tame fly-away strands and regular trims will maintain a healthy look and feel. Use a conditioning leave-in creme to leave curls looking shiny and glossy.